The Ulster Folk and Transport Museum is a place out of time - if you want to step roughly 100 years back in time, Cultra is the place to do so. On the extensive grounds of Cultra Manor dozens of original relocated buildings combined with full-size reconstructions have created a very representative village (or even small town) of the period. Costumed guides add to the "time travel" feeling. The transport exhibition "across the road" is a highlight for fans of vintage technology. A complete recreation of a typical Ulster village around 1900. Huge grounds allow for enjoyable walks and undisturbed enjoyment. Transport museum houses rare Irish railways and other local technology. The size of the museum may exhaust some visitors. Recreation of a village around 1900 forms part of the folk section; focus is on everyday life. Outlying cottages, industries, and farms make for interesting walks - but take time. Transport section showcases vehicles built or used in Ulster. The Ulster Folk and Transport Museum spirits you away - as you leave your car in the car park and make your way to the information office next to the old corner shop, you are entering a different world. The village of Cultra lies before you and can be explored house by house ... the people "living" in the houses will be only too happy to welcome and assist you. Of course, this is an artificial experience, but the superb Ulster Folk and Transport Museum is the nearest you could get to time travel. The village consists not only of small terraced houses, a bank, several churches, the local newspaper, a courthouse and the local barracks of the Royal Irish Constabulary invite you to find your way around. And on the outskirts of the village farmsteads, mills and even a meadow used for bleaching linen (complete with stout-but-short watchtower) recreate a complete picture of the local economy. Good for a few hours walk! Across the road, literally, is the more conventional transport exhibition. Train-buffs and lovers of old cars will have a field day here. 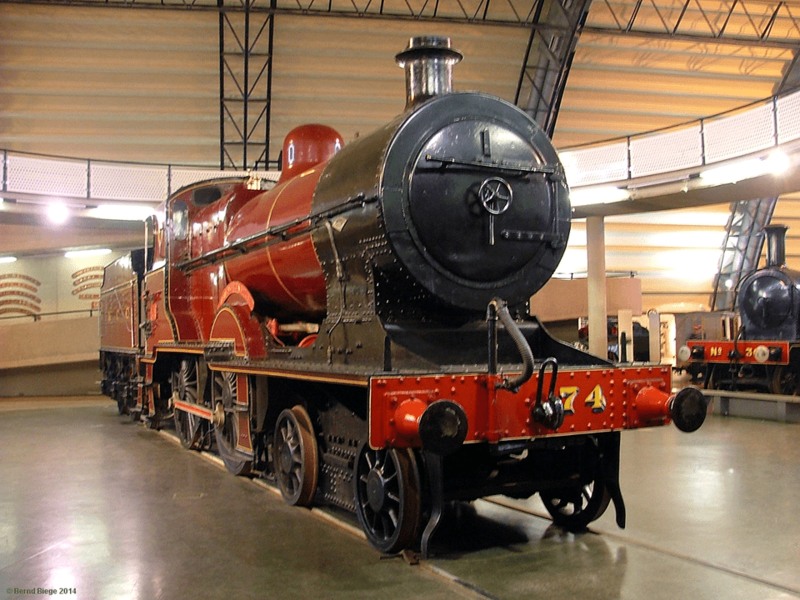 From the tiny rail-motors of the "Wee Donegal" to the largest Irish steam locomotives everything is on display. A special gallery tells the story of the ill-fated Titanic (built in nearby Belfast) and a rare VTOL-prototype plane honors Shorts - the innovative and doomed De Lorean car neatly connecting both extremes!